I mean how can you resist these blueberry brownies? 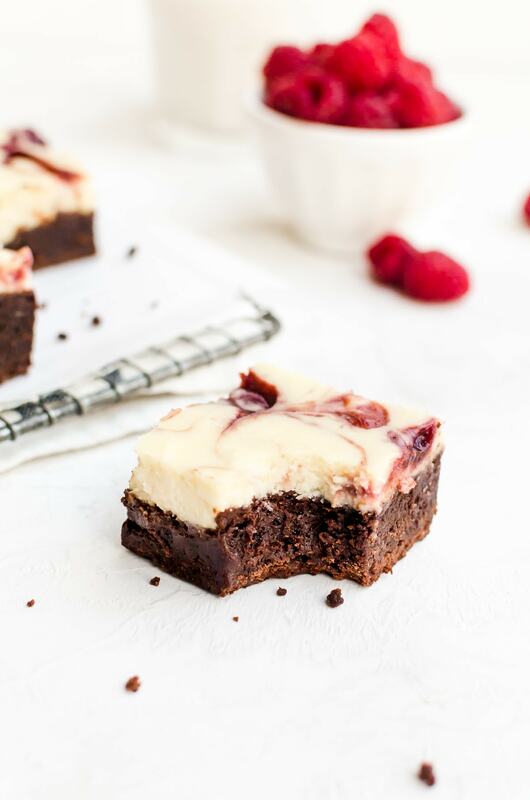 Or these regular (non-cheesecakey) raspberry brownies? You just can’t. 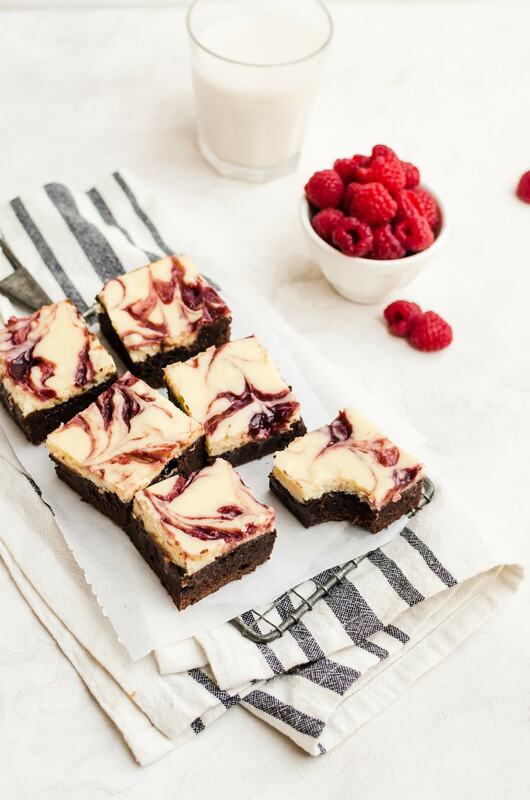 How Long do Raspberry Cheesecake Brownies Last? Because of the cheesecake layer, I highly recommend storing the brownies in an airtight container in the refrigerator. They brownies should last up to a week in the refrigerator. 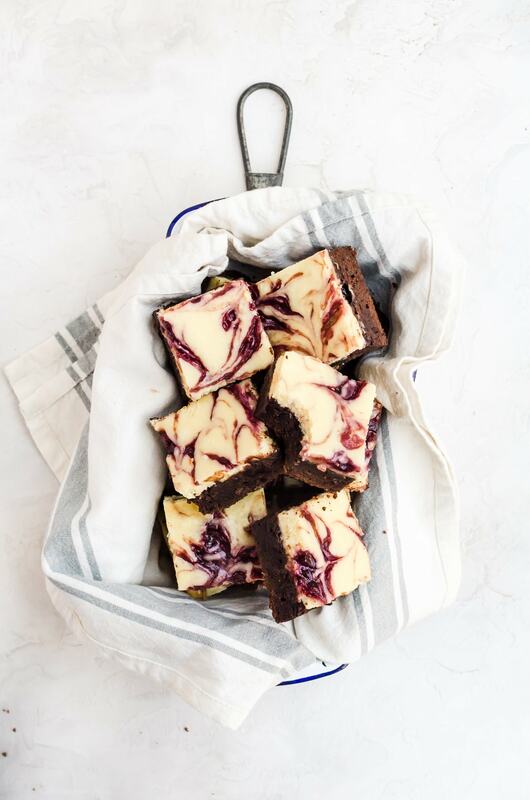 You can store the raspberry cheesecake brownies in the freezer for up to a month. Simply allow them to come to room temperature on the counter before eating them. 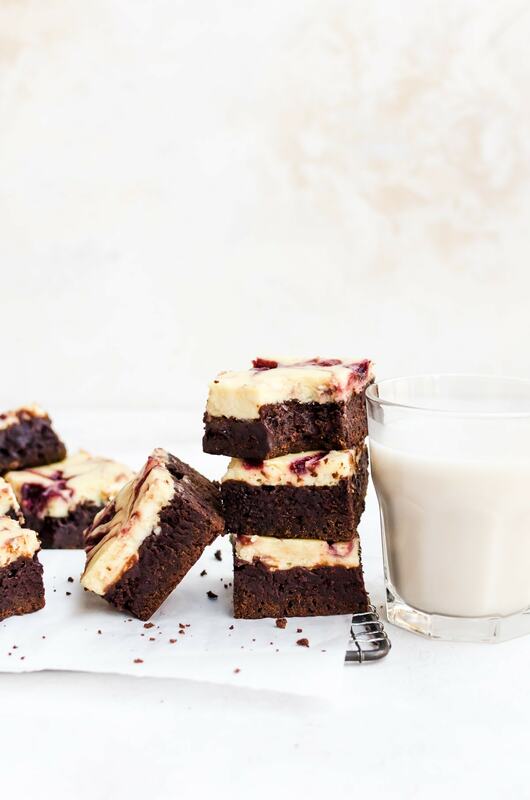 Can You Make Raspberry Cheesecake Brownies Gluten-Free? 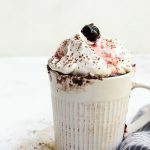 Yes, it is very easy to make these brownies gluten free by simply using a gluten-free baking mix. I absolutely love Bob’s Red Mill’s 1 to 1 gluten free baking mix. 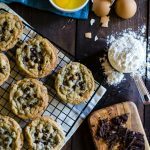 King Arthur Flour also has a gluten-free baking flour that many readers have said works well. If desired, you can also use your own favorite gluten-free brownie mix. 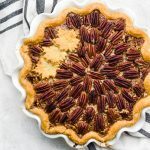 Just make the batter according to box instructions, then proceed with this recipe on the cheesecake layer!